My son had a very positive experience with Ms. Julie for OT. He was having a rough time with sensory regulation & seeking, and control with emotions/impulsive behavior. She worked with him for a year and his behavior improved at preschool and at home. She is very kind and patient but stern when he needed it. She was extremely helpful with any information I needed as a parent and always made time to talk to me after sessions and through email. He looked forward to seeing her every week. Unfortunately due to issues with insurance coverage he is no longer seeing her which has caused some regression. I wish my son was still receiving this service it was a huge benefit and I would recommend MTC to any family looking for OT. Also, would like to add that I always had a good experience with the office ladies, any questions or concerns with billing/insurance/sessions they were always very helpful. I had a great experience with MTC. Everyone from the front office, to the therapist, were friendly and wonderful to work with. Management went above and beyond helping us. Extra bonus - there were no issues working with my insurance company. I highly recommend MTC! The highly trained staff with MTC is the gold standard of care for our family. The time and attention you give us has had such a positive impact. Thank you for truly making a difference! 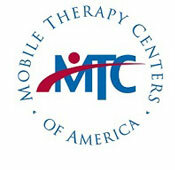 I’ve been really happy with MTC and the counseling services they provided my family. They were really flexible with our schedules and made a real difference for us. As a private not-for-profit school in Gurnee, having an option for our school and families such as Mobile Therapy is very beneficial. Children who have developmental delays or challenges growing up require early intervention. The professionals at MTC, who we have come to trust, provide free screenings and an availability of therapy during the school day. I highly recommend MTC for their services, their professional & friendly staff, as well as, the convenience of their scheduling.